What started as a slow trickle when American Tactical Imports (ATI) and PTR moved from the northeast to South Carolina, has now become an all out surge with Magpul Industries leaving Colorado, Beretta leaving Maryland for Tennessee, and Remington acquiring a 500,000 square ft. facility in Alabama. As Breitbart News previously reported, Governor Andrew Cuomo’s (D) SAFE Act drove ATI from New York in October while Governor Dannel Malloy’s (D) draconian gun control drove PTR from Connecticut in June. Beretta was looking intently at Virginia until Governor Terry McAuliffe (D) was elected on promises of more gun control. They quickly marked the Old Dominion off their short list and chose Tennessee instead, where Governor Bill Haslam (R) greeted them with open arms. And then came Remington, the arms maker that has been making firearms in Ilion, NY since 1816. After Governor Cuomo’s SAFE Act made a number of their guns illegal to sell (or own) within NY state, it was well known that Remington was looking for a more gun friendly atmosphere. On February 17 Breitbart News reported Remington found it in Huntsville, Alabama, where they purchased a new facility that is expected to be up and running in 2015. 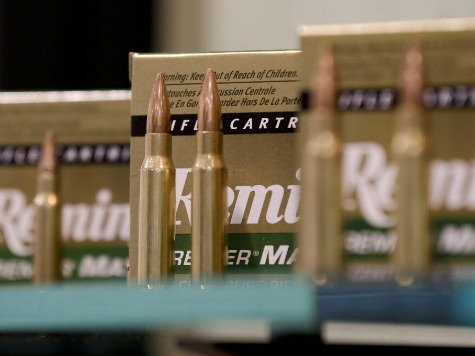 Remington CEO George Kollitides summed up the move by pointing to Alabama’s motto–“We Dare Defend Our Rights.” He said that motto “says it all” when it comes to what drew Remington to Alabama. The best part about these companies moving south is that they represent the beginning, rather than the end of such a migration. Like any other business, gun manufacturers want to operate in states that do not over regulate their product or their businesses–and right now, the south gives them very little regulation in either area.